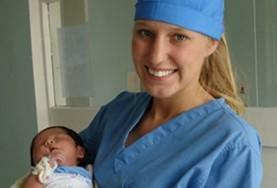 A medical volunteer looks after a small child at her hospital placement. Our Medicine & Healthcare Projects are ideal for a group of students that are thinking of studying medicine or another area of healthcare at university or a group of students at university looking at getting some more hands-on experience. 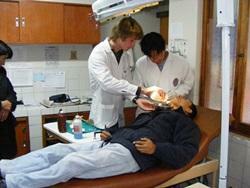 The projects provide an opportunity to see how medicine works in the developing world. We have projects ranging from those working alongside surgeons and nurses to others working with dentists or physiotherapists. If you have a group interested in a particular specialty get in touch to find out what is possible. We might have a project suitable for you and your group. 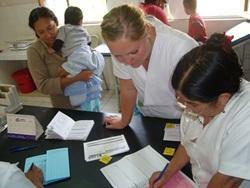 If you are simply interested in getting an overview of the medical system in a country we can organise this for you. 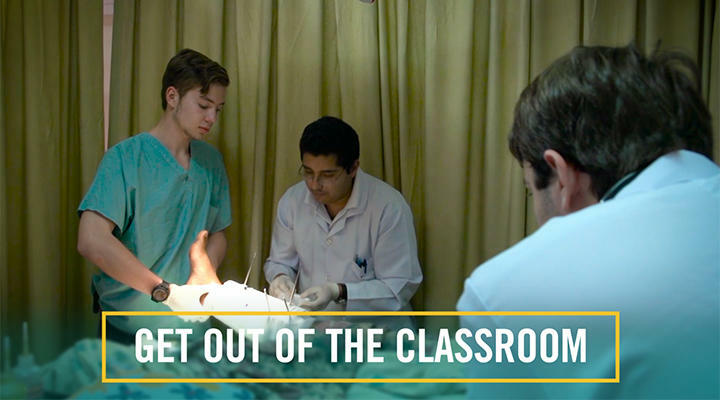 Your group will be working alongside local doctors and nurses, enabling you to witness all aspects of working in a medical institution in the developing world. The day to day work will vary depending on the experience and interests of the group. 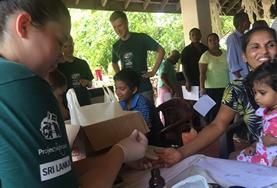 With younger students it will be more observational with opportunities to go out into the community on outreach trips ranging from cleaning up wounds to doing awareness campaigns. 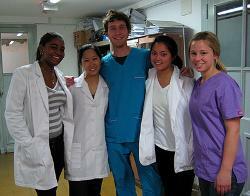 With more experienced volunteers there are opportunities to really help out in the hospital. Meet up with a range of medical professionals and find out how the local health system works. At all of our Medicine & Healthcare Projects, we use a secure and anonymous database to track the medical work that we do throughout the developing world. The database allows staff and volunteers to gather data when we run medical outreaches or health awareness programmes, create patient profiles so we can help and monitor individuals who see us regularly, analyse and report our results, and collect research data and publications related to healthcare issues. All of these factors will help us achieve the long-term goals set out in our Medicine & Healthcare Management Plans. It will also help us improve the healthcare services we provide and better target the work we do on the ground around the world. For example, if we notice that there are high rates of HIV infections in a community, we can focus on running awareness programmes that raise awareness of the disease and how it’s transmitted. 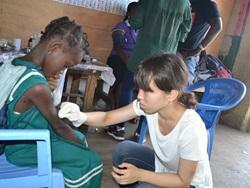 It is possible to combine a medical project alongside a local community project. 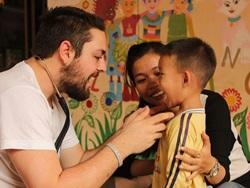 Volunteers from your group can work in a hospital in the morning and spend the afternoon helping at an orphanage. 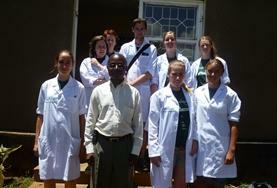 The group can spend the first week working in a medical setting before joining a Conservation Project in the second week. There are endless combinations of projects that you could fit into your itinerary. 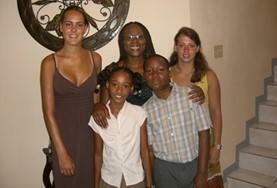 We will organise a day to day itinerary to tie in with your group’s plans. If you want to combine projects get in touch and find out what is practical for your group to do. You can call us on 01903 708316 or email us at groups@projects-abroad.co.uk and we can put together a provisional itinerary for you. Projects Abroad have Medicine & Healthcare Projects available in Argentina, Bolivia, China, Ghana, Jamaica, Kenya, Mexico, Mongolia, Morocco, Nepal, Peru, Philippines, Senegal, Sri Lanka, Tanzania and Togo.